Fabrication is the process of changing something from one form to another form. Of the various forms of fabrication, the sheet metal fabrication is one of the most useful types. It is believed that metal was discovered even before Man had started to read and write. It was at this phase that human beings started using metal to create rudimentary tools and weapons such as spears and arrowheads. Since then, metal fabrication has moved a long way into metal forming, metal bending, metal cutting, laser application and much more – increasing its usage far beyond the domain of basic tools and weapons. Most metal types are malleable, which means they can be molded into shapes. When metal is shaped into flat and thin pieces, it is termed as sheet metal. The best thing about sheet metal fabrication is that these metal sheets can be then bent and cut into a number of shapes and sizes. They can even be of altering thickness. We can also refer to the thickness of sheet metal as “gauge”. Sheet metal is not only available in flat pieces but also in coiled strips. Generally, sheet metal is made from brass, aluminum, tin, copper, titanium, nickel and steel. Sometimes silver, gold and platinum can also be used as for decorative purpose. We use sheet metal fabrication in making products like building materials, airplane wings, equipment for food processing, car bodies and many other things. 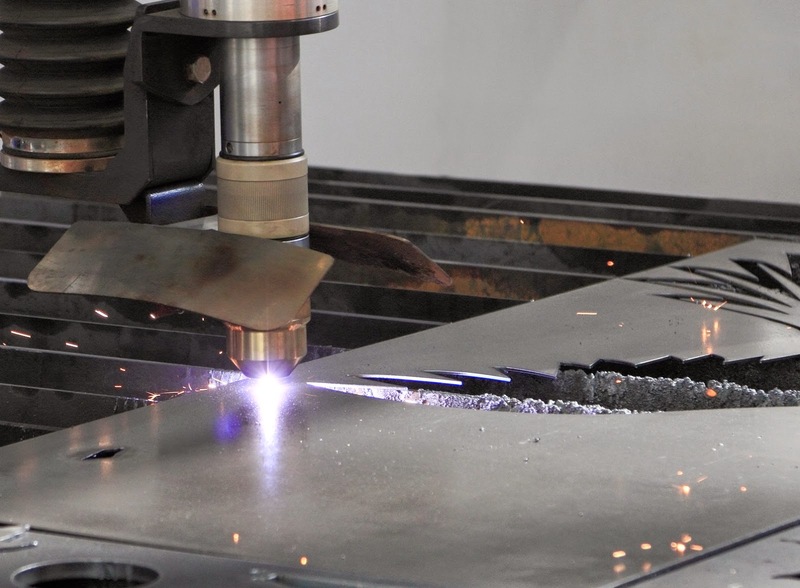 Cutting is the first step to perform for sheet metal manufacturers. There are a number of ways in which metal sheets can be fabricated or processed. Laser beam technology is the newly launched method for cutting. There is no room for any mistake in cutting metal with high beams of laser because it has particular computerized settings that completely control the environment. The second step in sheet metal fabrication is forming. In this part, once the metal is cut, it is imprinted into the required form or figure. Usually the techniques used for forming are rolling and sloping, stamping, welding, winding and hitting. The process of rolling involves using the roll stand to bend the metal and it is manipulated by hand. Bending is the method that is used to deform the metal by employing die sets. When we bend the sheet metal its inner metallic surface is compressed and the outer surface gets stretched. The perfect stretch is made possible by bending the metal. This process requires accurate functioning with bending deduction or bending allowances in order to get immediately the right twist. The process of forming a blank sheet metal into the required shape by applying force or high pressure is known as the stamping process. Metal stamping needs nonstop alternatives to the stamping designs and motions that must be achieved. Stamping involves a deep drawn method in which great energy is leveraged on the raw material to achieve a seamless finish. These are a few of the methods that are frequently used for sheet metal fabrication in manufacturing industries. These are some simple ways of sheet metal fabrication. This process of metal fabrication is not only used by metal manufacturing industries but also by automobile industries to prepare car bodies and many other parts. Some of the electronic companies also employ metal fabrication. Moreover, if you want to know more then click here.